Isn’t it annoying when you go to peel a hard boiled egg for a Cobb salad or deviled eggs and half of the white sticks to the shell? Then you have ugly eggs. No one wants to serve ugly eggs! I’ve tried so many different methods to prevent this from happening- The muffin tin method, the needle poking method (don’t bother with this one…just don’t) But then finally!! And rather recently, I figured it out! The ice bath method! It’s worked perfectly every time-winning!!!! No more ugly eggs! It’s important to bring your eggs to temperature along with your water. Start them off all by their onesies in an empty pot. 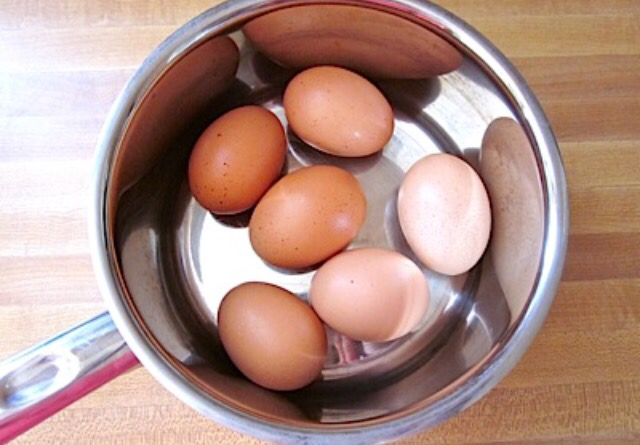 Fill the pot with just enough water to cover the eggs completely. Once the water begins to boil turn your burner down to medium and allow the water to simmer. You don’t want a rolling boil. Set your timer immediately for 13 minutes! Watch it! If at 11 minutes one egg begins to crack. They’re done. 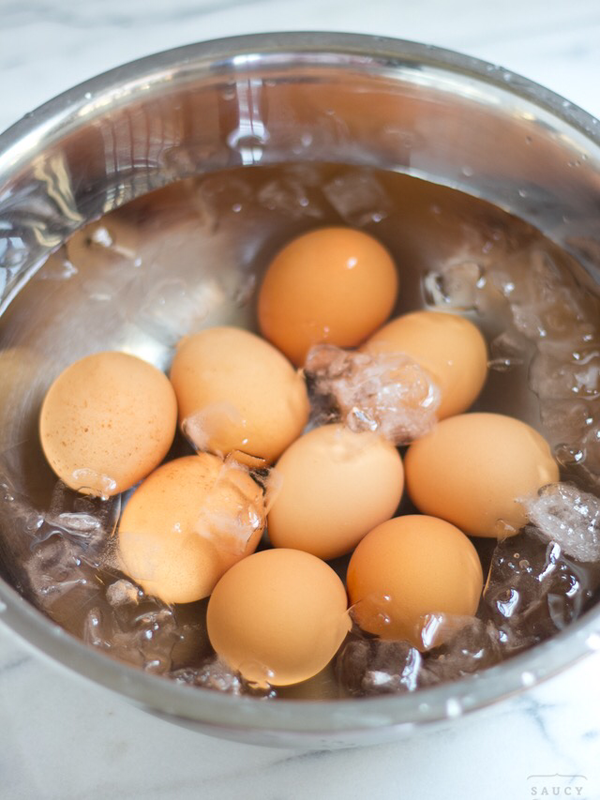 Using a strainer or slotted spoon take your eggs out one by one and place directly into an ice bath. Allow the eggs to cool for 5 minutes or so. Tap tap tap!!! 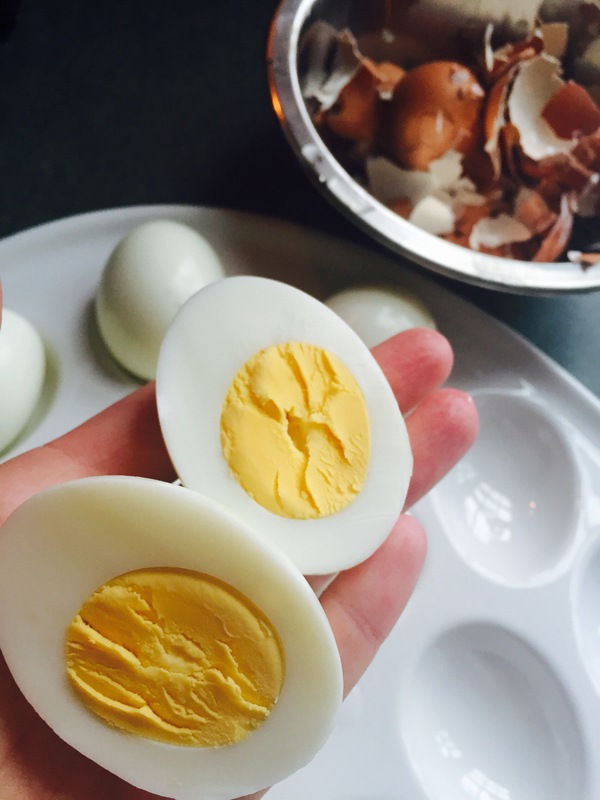 Crack those eggs all over and prepare yourself for the easiest peel ever! The shell will come off in big pieces, easy peasy! And there you have it! 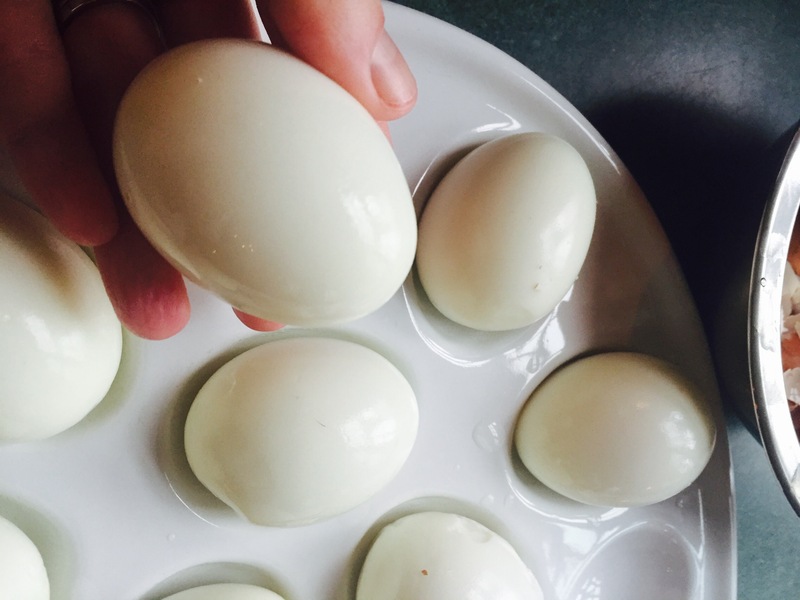 Beautiful hard boiled eggs. No muss no fuss. My hens would be proud to see their eggs all unscathed and camera ready! They love getting their shells back too! 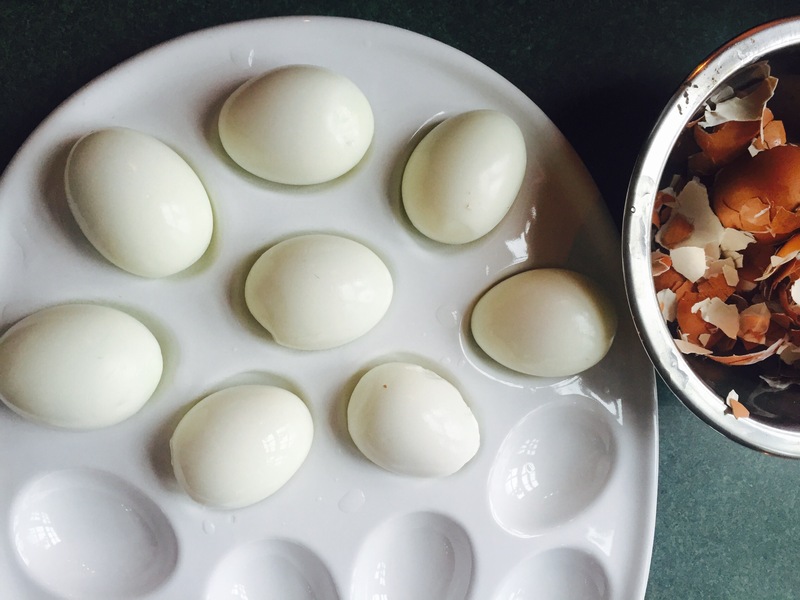 If you have chickens on your homestead, feed your hens their egg shells. It might sound weird but it’s really not. The calcium is sooooo good for them and will increase egg production. Yay!! More hard boiled eggs!